​are all tracked independently via an enhanced Elo-based rating system. The more you play, the more experienced you become. 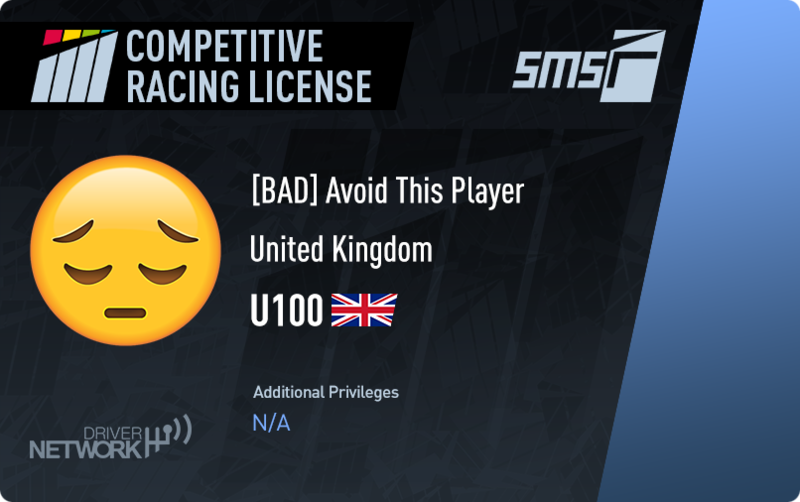 At a glance you'll be able to see which drivers are new to the game, and which are veterans by the coloured stripe along the side of their license. ​The more you win, the more your Skill Rating will increase. We take into account the length of the race, the number of other drivers, and their own competitiveness too. So beat players of a higher skill level and it'll increase a lot, lose against players of lower skill than your own and it'll decrease. A bad Rating is 100. A good rating is 5000. 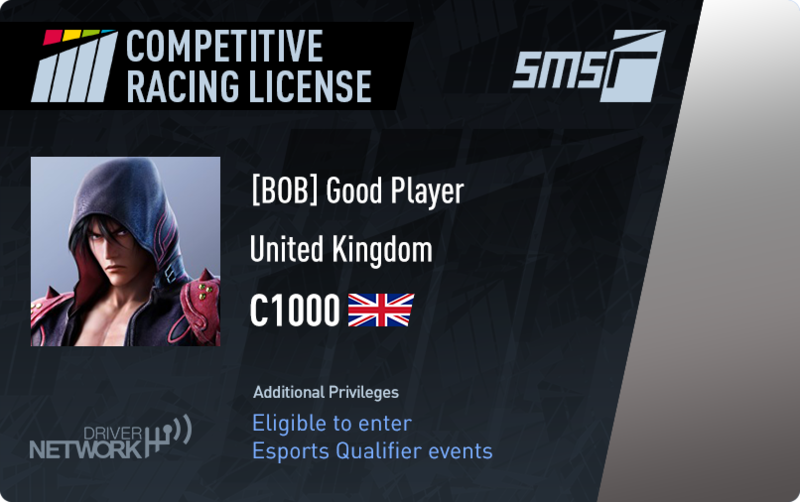 ​Your Competitive Racing License is used in matchmaking in order to place you into games with players of similar competitiveness and professionalism. And you can also use it as a minimum requirement when making your own games. 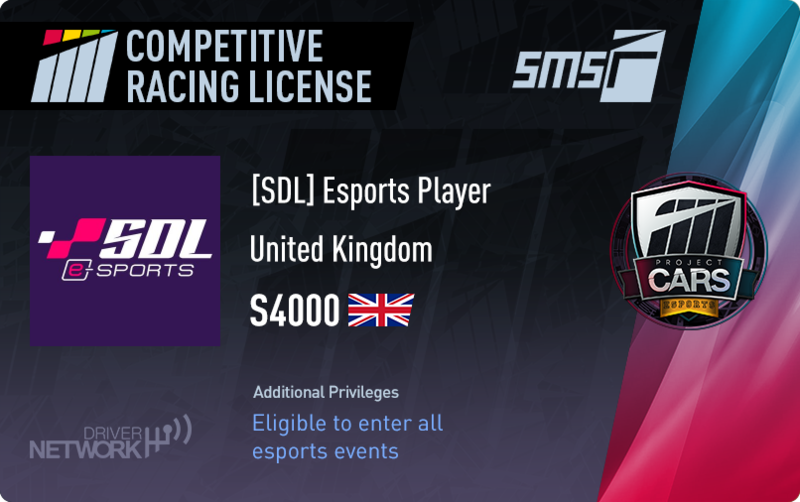 ​It should be every player's aspiration therefore to own a high-ranking Competitive Racing License as it will allow them to play with the best of the best, and gain them entry to the most prestigious Esports events. ... as well as others. Stay on-track and don't collide and all players should see themselves rise through the ranks. Fail to do so and this will go down. Seniority is calculated purely on time. This will always increase and is simply based on how long you've been playing the game online for. Your Skill Rating is based on a points system, with either positive or negative points being awarded based on your success in comparison to your opponents in every online game. Beat drivers who are better than you and you'll be awarded a lot of points compared to beating those who are less skilled. Lose against drivers of higher skill though and you may lose points. Win or lose against players of similar skill though and you'll only see marginal differences. 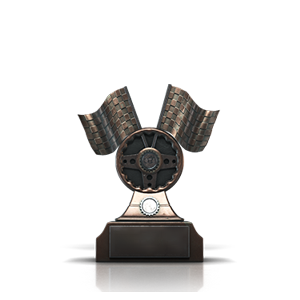 ​The calculations for both Racecraft Ranking and Skill Rating take into account the number of opponents and the length of the event also. So a single incident during a 24H race with many opponents would be negligible compared to two infractions during a 3 lap race with a few opponents. Ie.. your conduct and success are proportional to the duration of the event and the number of other players. Calculations are also motorsport-based so those that are more tolerant of car-to-car contact (such as Rallycross) will be treated differently to those that are more stringent. A player that has just got the game will be identified with a blue stripe on their license. By default, everyone starts off with a UNCLASSIFIED Racecraft Ranking and a Skill Rating of 1500. If you encounter a player that has a low Skill Rating of 100 therefore, they are pretty unsuccessful in online races. Combined with their Racecraft Ranking of U too, this is generally a sign that they should be avoided. 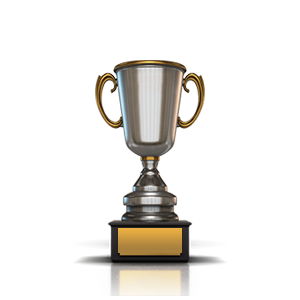 Having spent a bit of time with the game, all players will naturally progress through a Bronze embellishment and onto Silver. Whilst this is not an indication of skill or professionalism, it should indicate that that player has a decent amount of experience with the game at least. A Racecraft Ranking of C also indicates they are courteous on-track and are unlikely to be involved in incidents. A Skill Rating of 1000 also shows they are pretty good and are therefore eligible for any Esports Qualifier events being held. A Gold license shows a long-term dedication to Project CARS 2. 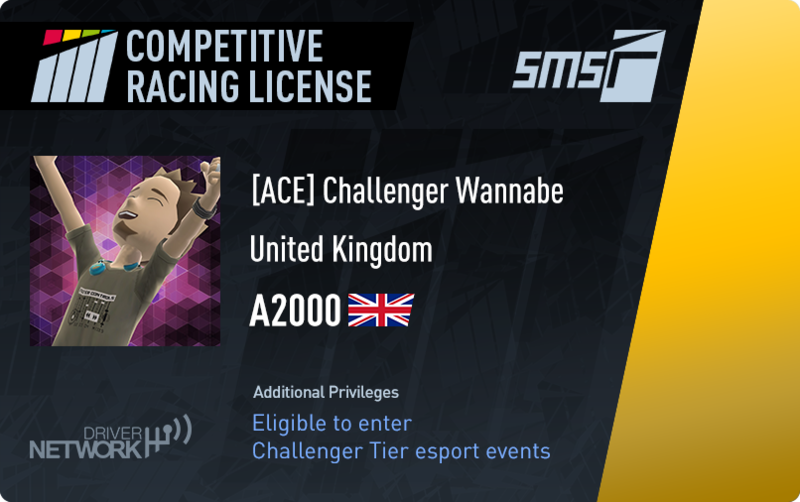 Combined with a Racecraft Ranking of A and a Skill Rating of 2000, this highlights to all other players that they are at the top of their game and are eligible to participate in any Esports Challenger Tier events being held. Pro esport teams should keep an eye on any players that fall into this tier as they are prime candidates for recruitment. 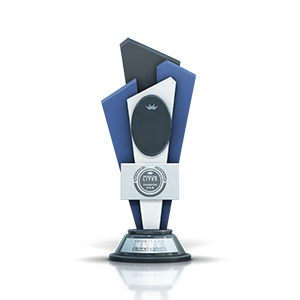 An S class Racecraft Ranking and Skill Rating of 4000 is what every player should be aspiring to as it shows complete mastery of sim racing within Project CARS 2. Only the elite will ever hold licenses of such prestige and they will be the top players to watch in our Major series. Of course, the Skill Rating goes to 5000 though - so there's even room for the top dogs to improve. There are three Divisions within Project CARS Esports relating to specific thresholds of Skill Ratings. Throughout Season Four, the Skill Rating range will be adjusted according to the number of players across the game that fall within each Division. The aim being to have many players in the Master Division (around 40% of the total audience), 10% in the Challenger Division, and around 2% of players in the Championship Division. We have therefore been closely monitoring the License to gauge what is a healthy spectrum right now and have arrived on the above thresholds for the beginning of Season Four. Whenever these ranges change, we will inform players so they are clear on which category they fall into.